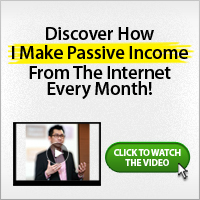 The only way to be truly wealthy is to have a number of different sources of passive income. Passive income is defined as that income that does not require active participation in a business. This is exactly why so many people want their own membership site. It seems like the ideal business model to create something that will bring new money over and over. But a membership site is NOT passive income. Sure the money comes in every month but unless you fill that site with new valuable content, you will lose your paying members in droves. Membership sites take lots of work. You have to maintain high quality content to keep your members happy and also have to monitor the site. If you have incorporated a forum, you will need to either moderate this yourself or outsource it to others (usually either at a cost or on a revenue share). 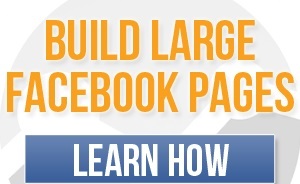 Promote Affiliate programs that has recurring payment plans. The beauty of the residual income affiliate programs are that you can get all the benefit of a recurring monthly site without actually having to run one yourself. I believe that promoting residual income affiliate programs is the best way to create REAL passive income online. You do the work once and you get paid over and over again. I promote some affiliate programs which I make recurring passive income from. Some of these products/programs are Web4Africa and Virtual Terminal Network. You can check them out. You should also look out for recurring income programs that sell an ongoing product, sell an ongoing service or those that offer a combination of both. Where Do I Find These Recurring Commission Programs? 1. Consider the quality of the product/service/membership. 2. Look through forums, and see if you can find any reference to the company offering the affiliate program. 5. What you can get together in terms of items for your bonus package. 6. What is the need, or the potential use of the product/service? Promoting recurring income products is not too easy, but it’s not too hard either. There are a number of basic differences between selling products as a once off, and obtaining customers that are willing to pay repeatedly. In order to have the leverage so you can convince the visitor to take action, you will have to go the extra mile. You will have to do more, but you must also keep in mind that the rewards are much more – so it’s well worth it! You will be able to obtain detailed knowledge of the product or service. In time, your knowledge will enable you to define different centers of value that you can use in your marketing efforts. You will be able to pinpoint features and benefits that are not commonly known, and use that to give the customer a different perspective, or a better perspective on what you are offering. You will also be able to communicate new additions and features to those people on your list that have not signed up yet. You will be able to use these new improvements and additions as leverage to get more people to sign up, as well as using it as an excuse to mail your list. You would be glad to know this blog is hosted by web4africa and we also use VTN. By applying an autoresponder e.g Aweber, you can schedule messages to be delivered at times that suit you, or at preset intervals, calculated from the moment of sign up But why exactly should you build a list ? You may be surprised at the mathematics and the possibilities that it opens up! You always need to have a reason why people should buy from you. Simply offering the service or product or membership is not enough by itself, because frankly, the visitor can access it in a number of other different places. You have to have some form of leverage to get the prospect to take immediate action. 95% of people make their decisions according to these emotions. You may also have noted that 95% of all people are stuck in a comfort zone. The remaining 5% (which is the successful portion of the population), make decisions based on logic. The fact that you are reading this leads me to believe as that you are one of the 5%. However, Your target market will mostly be the other 95%. Even if you are selling Internet marketing related products or services, you will still find that 95% of your customers will never take action, and will never get anywhere.